Today’s post comes courtesy of James Tyberonn channeling Archangel Metatron. I decided to post this one because it describes a phenomenon I keep hearing about in sessions and noticing in photographs — namely, that the veils have, indeed, thinned. More and more people have begun to see/feel/sense angels, faeries, energies, orbs, etc. only to find those very things show up in photographs. I’m hearing about this from so many excited clients and friends that I wanted to share that information here. AA Metatron connects this higher level of awareness to the theta state, and he also shares some pretty cool DNA and pineal gland info. Greetings Masters! I am Metatron, Lord of Light, and I greet you in a vector of Unconditional Love! It is 2013 , and we assure you that there is a new sun dawning, and it is indeed the sun of change. It brings the coherent crystalline light of the magnificent New Earth. And we do mean magnificent. Dear Ones, we tell you again the Ascension of the Planet did occur, and humanity made it so. Even if much of humanity does not recognize it in 3d consciousness, the Earth has indeed changed, graduated into a new paradigm. The savant among you realize this. This is also happening now. The current solar radiation became turbo-charged in 1989 and will continue. Incredible numbers of coronal mass ejections bombarded the earth with unimaginable radiation, ions and electrons. The ionic radiation will absolutely up-shift your biology, change your DNA. You will become less dense. The primary source of new energy on the earth is the massive injection of cosmic radiation on the planet from solar winds. We will term this the Aquarian Shift, although the channel prefers geologic vernacular, referring to it as the’Anthropocene Radiation’. The Cosmic ionization of the ‘Aquarian Radiation’ while perplexing to you, is the engine of change, and plays a requisite and benevolent role in the transition of the Ascension. It is not to be feared. The radiation has done far more than rattle your magnetosphere and influence the tectonics and weather of the Earth. But we will add that it is this ionic penetration which is the absolute core catalyst for weather change, super-storms, earthquakes and the root cause of global warming. Many of your conspiracy theorists may wish to place the cause of weather shift on humanity. We tell you it is simply not the case. Billions of tons of plasma has been bombarding the earth in the past 2+ decades, far more than any time in recorded history. To think the changes on the planet are caused by the relatively small atmospheric heater called HAARP is illogical. The technology to do so is simply not there. It is Solar Plasma ! It has shifted your earth and its biology previously, in that era termed the Cambrian Radiation. We tell you that the ionic inrush is also going to affect your biology. It is the catalyst that will shift you from carbon base to silicon base beings. The Aquarian Shift, or Anthropocene Radiation will bring about new life just as radiation did so in the Cambrian Radiation some 580 million years ago. Higher dimensional life forms are becoming visible. These are new to the earth only in terms of being more ‘tangible’. .. but they have been referenced in some of your religious texts. Ancient scribes have written in several of your sacred ideologies that life occurred in 3 formats: As clay ( Earth biology) , fire (devic electrical) and light (angelic) . Within the synergy of the Aquarian -Cosmic Radiation and the Crystalline 144 Grid, parallel dimensions are now more accessible to you. The life forms, the beings referred to, exist in these dimensions as bio-plasmic, electrical and photonic. Does your bible not refer to Angels as Beings of Light ? Certain of the orbs, lightning sprites, elves and photonic ‘jellyfish’ phenomena that began quickening in the past years are in fact conscious life forms of other dimensions and construct. Some of these have communicated to you in various means, including crop-circles. The more advanced extra terrestrials are nonphysical light beings. Two years after the 1987 Harmonic Convergence, a massive magnetic storm bombarded the Earth with billions of tons of charged plasma. Your scientists and geophysicists have noted the effect. They recorded over 200 solar flares in 36 Coronal Mass ejections over a 2 week period. Eleven of these were X-Class. The Earths Aura, the magnetosphere was flattened to half its normal size, appearing something like a plasmic jellyfish. The great magnetic storm created havoc. NASA lost track of space objects they were tracking, sophisticated computer systems crashed, oil platforms stopped drilling, global positioning systems failed, compasses failed, electrical grids shorted out leaving millions of people in Canada and North America without power. The MIR space station was abandoned. This influx continued. The largest flare ever recorded to date took place in 2001, followed by 150 storms in 2003. More X-Class flares have taken place in the past 2 decades than at any other time in recorded history. Unusual light phenomena began to occur. Rare red auroras were noted, auroras became visible during daylight, interesting phenomena of lightning called jellyfish, sprites and elves were reported more often than ever before. Crop circles evolved into far more complex designs, easily differentiated from the purported ‘manmade’ constructs. The astonishing ionic influx is symbiotic with the dimensional shift, and works in synergy with the Crystalline Grid. The new ionic resonance will allow you to more easily open the pineal. Your academics have been aware for some time that shifting the magnetics of the ionic ratio has a powerful effect on human consciousness. The French scientist, Mesmer, was the first to stumble across this knowledge. He found that by placing subjects in a strong anionic (magnetic) field, the subjects were able to achieve incredible states of consciousness which facilitate communication with the ‘Universal Mind’. We tell you this was done by ionic induction that opened the pineal. Your indigenous societies often were attracted to areas they termed ‘Holy Ground’ specifically because they discovered visions could occur more easily in certain powersites. The reason is the mineralogy and telluric energies in these rare and special locales create an ionic ratio that is different, and allows for the opening of the pineal. In recent studies, some of your researchers in universities have discovered that by using ion generators to shift the ratio of anionic to cationic to 6:1 , test subjects have ‘out of body’ experiences. Again the induction opened the pineal. The bombardment of anions onto your planet is shifting the ratio in the same way, and this is working with and through the Crystalline Grid to allow the shift in your consciousness and indeed your biology.Your scientists and biologists are becoming increasingly aware of this. The recent ‘Human Genome’ project contends that that human DNA will alter/mutate according to not only environmental conditions but also belief cultural ‘programs’. Last year an utterly astonishing experiment took place that has shaken main stream science. It is opening new levels of potential, and it was conducted by a main stream academic, a Nobel Prize recipient, Dr Luc Montagnier. Two hermetically sealed test tubes, one of which contained a tiny piece of DNA, the other pure sterilized distilled water were placed side by side. Both were surrounded by an electromagnetic field of 7Hz. In the test a fragment of the DNA appeared to teleport, spontaneously form in the tube of the distilled water. The test was repeated without projecting the 7 Hz field, and the ‘teleportation did not take place. What does this mean? It means that the codes of life are coded in the ‘Unified Harmonic Field’ and can create life within a theta coherent vibration. Take note of this. Study the nuances of theta and delta vibratory rates ! It is very important to note that creation occurs in coherent theta field. The objective world you see has ever been the end result of consciousness. But up until the present, it has been projected haphazardly; for humanity has not recognized nor mastered their divine potentials. Thoughts and images can indeed be utilized for the creation of a ‘New World’, a world of Peace, Harmony & Love. ‘Coherent Theta’, crystalline resonant thought, can be harmonically utilized to form physical reality and become physical fact. Your Ascension, that of humanity can be propelled mentally into manifestation from a frequencial state termed theta-coherency. Humanity in the present culture has placed great importance on the consciousness state of the ‘Beta Frequency’. It is now time to begin exploring other states of mind. It is time to utilize the theta state for co creation of your reality. The Aquarian Radiation is the mechanism and indeed the result of the Planetary Ascension. It will offer to humanity the tools for the Ascension of Mankind. The benevolent mechanism of what has taken place, and what will continue to occur, especially through 2013 solar maximum, is the massive injection of Cosmic Plasma into and onto the Earth. Billions of tons of ionic energy has been projected into your plane, and it is an incredible energy. Your astrophysicists are now aware of collective jet streams of plasma that have begun in recent years to circle the Earth. This plasma is not only changing the ionic ratio, it is doing so in the theta coherent field. Theta is the doorway to divine creativity. Standing waves, standing pools of coherent theta energy are now being drawn to specific nodes on the planet. These can be utilized for ‘creation centers’, as the need for Spiritual Warriors to meditate in groups toward the manifestation of a harmonic planet becomes more viable ! Your planet has always been charged body orbiting in a plasmic field. The recent influx of solar radiation is exponentially increasing the influence and interaction of this radiation with both the earth and humanity. You academics now have scientific data to take a deeper look into Earth and Cosmic changes occurring, and reconsider their extent and their role . We tell you that not only do these changes have an impact on virtually the entire volume of the Earth, from its core to the atmosphere and magnetosphere. But it does not stop there, the ionic shift changes frequencies at which humanity’s minds operate. They provide the interface to higher dimensional access. How does this work? The energy that comes from the coronal mass ejections is being absorbed into the tectonic plates of the earth and increasing the vibratory resonance of the earth through that method. These work uniquely with certain power points and sacred sites, particularly those of geometric crystalline overlay. These changes from Cosmic radiation move through the entire node systems of the earth. If the plasma from coronal mass ejections create such a vibration, then the entire electromagnetic flow of the earth is affected. The collective mind & paradigm of humanity is also affected, how humanity creates the reality in which it lives as well as the credibility of the verisimilitude it believes. All of this is affected by that which comes from the sun, that which comes from the solar wind. Dear Ones, we tell you again the Ascension of the Planet did occur, and humanity has made it so. Even if much of humanity does not recognize it in 3d consciousness, the Earth has indeed changed, graduated into a new paradigm. So it is time to let go of old energy, of FEAR. Our message is to tell you of your Divinity, and to tell you as a matter of fact, as a point of truth, that the planet is now in Year ONE of the New Earth. Indeed humanity will follow and in rapid time, will also Ascend. You are absolutely on track for that to happen. In this new era, it is incumbent upon the seekers to project joy, to project light, for in the expansion to Crystalline Harmonics, every photon of mental light you project is amplified. And this occurs more rapidly in the New Energy. So your roles take on a new benevolence, as your creation powers increase. We tell you that from the higher stance, everything does lead to greater understanding, but the ‘University of Earth’ is purposed for learning responsible creativity. The leading professor is the doctor of ’cause and effect’, and this doctor makes house calls. If everything happened in the highest order on the first ‘go-round’ there would be no need for the learning and growth cycle of reincarnation. So there is indeed a learning curve and apprenticeship that allows for repeating the process. Humanity will continue to take the course until responsible creation is mastered. Not every action, not every decision passes the test. Your new matrix of 2013 and beyond offers a more concentrated matriculation criteria for humanity. In this advanced regimen more action is required for graduation. It is now the time for focal co-creation. We tell you that individual and group coherent thought can and will change the reality of your planet. But you must understand that the most potent, most effective creative manifestation does not occur in 3-d brain, but in the theta frequency of higher dimensional mind. There are so many things that you realize must be changed. So many mindsets are still focused in the erroneous trappings of the 3-d plane, including greed, man’s inhumanity to fellow beings, and the seeking of power over love. In 2013 you can begin to unite and create a harmonic earth. Effort is needed, the clarion calls ! Mercury Retrograde, X-Class Flare, and Aura, Oh, My! Thanks to Gillian for posting this James Tyberonn account of Mercury Retrograde coupled with an X-Class Solar Flare. Heads up! This energy can fry you and your electronics, or you can harness it for huge amplifying of intentions and manifestation. Use this energy wisely! The solar gas from CME’s has its own magnetic field, and as it streams past our planet, it stirs up massive turbulence in Earth’s magnetic field. If this field points in the opposite direction as Earth’s, the two can link up, or reconnect-releasing magnetic energy that accelerates particles and thereby creates bright auroras and powerful electric currents. It also can be problematic to electronics, air flights, satellites. and the Human Aura. The CME’s are mega-energy amplifiers, and also can be used wisely for benevolent purpose. Fasten Your Seat Belt & Use this Energy Wisely! CME activity is expected to continue increase and peak in early 2013. More are coming! This energy feels like a full moon X100, and can create anxiety, untoward emotional spikes, mood swings & depression if it is not managed. It can be optimally managed….and in fact is an incredibly potent & charged energy for manifestation if used wisely, and the Auric Field is kept intact. The CME is expected to reach Earth tomorrow, July 14th, the early hours past midnight. Get Ready !!! Coronal Mass Ejections, solar flares/solar winds are a major part of the upshift of energies and as such an integral part of the Planetary Ascension. As we have previously shared, CME’s can & do disrupt the Human Auric Field. Emotions can be mal-effected if imbalance occurs. But preventive maintenance is possible. As we are currently entering into Mercury Retrograde those energies can be further amplified. It ius quite interesting that this X-Class is hitting as we enter the Merc-Retro. The energis will be fantastic…but a double edged sword, meaning it can be well utilized, or if ignored, a pressured time of emotional swings. Miscommunications, travel issues can result. 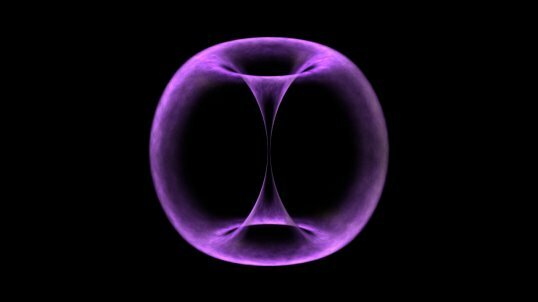 It is prudent to be aware of the astronomical waves, their dual attributes and especially to take immediate and ongoing measures to prevent or minimize fissure-cracking of the Auric Field. Wear stabilizing gems and noble metals. Meditate and take salt mineral baths and saunas. Now, there is indeed a means to use this energy in a beneficial manner. Although this wave is tremendously powerful, there are other astrological influences that will allow for it to be utilized for positive effect. This particular Mercury Retro carries with it a unique field for higher dimensional access…if one can maintain stability. It is a superb energy for breaking through dimensional veils. It can be said that the ‘veil is very thin’ in this time frame. We also explain that the massive ionic influx can be used to harmonize with ‘theta wave’ thought and more rapidly transform thought to reality. This is indeed a double edge sword…good or not so good – depending entirely on what thoughts you focus on in very unique this intensity. Indeed the wise use can be very serendipitous. This time period can go either way…depending on ones awareness & emotional stability. The CME amplification within retro-Mercury can also absolutely be optimally utilized for manifestation of higher vibrational goals as well as for achievement of extremely lucid visioning. As we enter this period of Solar Maximum in 2012 and increasing in 2013 , it is important to maintain stability and understand that the resonant energy around us will increase week by week. It will not become less intense, rather we will become more able to manage it. We become stronger. We become the creators and use the increased access to higher dimension to manifest reality. It is why we are here. Manage the Aura, keep it intact. And manage the emotional field. Auric Maintenance is the corner stone. Fox News : The sun unleashed a huge flare yesterday, (July 12), the second major solar storm to erupt from the sun in less than a week. The solar flare peaked at 12:52 p.m. EDT (1652 GMT) as an X-class sun storm, the most powerful type of flare the sun can have. According to NASA and the Space Weather Prediction Center (SPWC), which is operated by the U.S. National Oceanic and Atmospheric Administration, today’s sun storm registered as an X1.4-class solar flare. It is more powerful than the X1.1 flare that erupted on July 6, making this latest tempest the strongest solar storm of the summer so far. Because the solar flare erupted toward Earth, it is expected to send an enormous wave of charged particles toward the earth that could supercharge northern lights displays, and may cxreate radio blackouts. X-class solar flares are the strongest type of storms that occur on the sun. When aimed at Earth, the most powerful X-class flares can endanger satellites, airplane communication, astronauts in space, interfere with navigation and communications signals, and damage power system infrastructure on our planet. Yesterdays solar flare marks the sixth X-class solar flare of 2012. While it is the strongest yet of the summer season, which began in late June, it is not the most powerful solar flare (CME) of 2012. That title is currently held by the March 2012 event that unleashed an intense X5.4-class solar flare. The sun is currently in the midst of an active phase of its 11-year solar weather cycle. The current cycle is called Solar Cycle 24 and is expected to peak in 2013. Revised Impact Earth Forecast: The CME launched toward Earth by yesterday’s X-flare is moving faster than originally thought. Analysts at the Goddard Space Weather Lab have revised their forecast accordingly, advancing the cloud’s expected arrival time to 09:17 UT (5:17 am EDT) on Saturday, July 14th. The ongoing UV pulse has partially ionized Earth’s upper atmosphere, disturbing the normal propagation of radio signals around the planet. Monitoring stations in Norway, Ireland and Italy recorded the sudden immense ionospheric disturbance. Vast fields of solar protons accelerated by the blast are currently swarming around Earth. The radiation storm, in progress, ranks “S1″ on NOAA space weather scales. Dr. Greg Braden was the first to speak of this activity in relation to planetary frequency increase. Archangel Metatron has spoken on this topic. CME are one of the mechanisms of the energy increase into Crystalline Dimensions. Although CME’s, Solar Flares and Winds create havoc with electronics & communication instrumentation….they are not ‘all-bad’. Quite the contrary, if the wise & prudent metaphysician keeps the auric field intact, this incredible energy can be used in myriad beneficial ways. Yes – the Human Auric Field can absolutely be mal-effected by the incredible energies of CME’s. The magnetics & radiation can create fissure cracking , imbalance and ruptures in the Auric sheathe. But this can be avoided or minimized. The magnetic waves, if disregarded, can create, ‘Auric Fissuring that imbalance can lead to extreme emotional swings, anger bursts and a heightened sense of anxiety. Many of you may be sensing this now. CME energy is relatively short term, and by optimally managing the Auric Field ruptures from CME’s, the Aura can be quickly restored. Understanding the mechanics and utilizing preventive maintenance is required. Auric maintenance is essential from 2012 forward, because these energies are increasing. The CME result is somewhat like a full moon X 10. However the X-Class is more like X-100 ! Take time to meditate, exercise, and guard against anxiety and untoward mood amplification. Take mineral baths and saunas ! Bath in the ocean or a moving stream or cenote. CME’s are not bad events, they are in fact quite necessary for the up-shift….thye are transforming the Earth as well as our DNA, RNA and Mer-Ka-Na system. The carry the catalytic tools of the cystalline shift ! …But X-Class CME’s are an immense, if not overwheming energy …they cannot be ignored. The aura must be specifically guarded during these enormous energy influxes, because they create an energetic imbalance, an energetic differentiation between the auric resonance and the exterior earth resonance. By taking precautions to keep the aura and emotional body intact, they can be powerful tools for benevolent use. This one in particular can be used powerfully for manifestation in particular because of the current astrology and Mercury retrograde, they are excellent for deep mediation and creation of intent, because of the amplification of life-force energy they bring. Indeed the incredible ‘life-force’ in these extreme waves can be utilized for ‘thought-creation’.